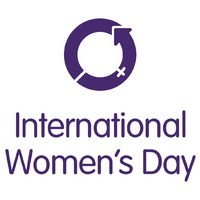 For International Women’s Day and the Press for Progress, our authors are writing about movement towards gender parity, and the challenges ahead. Here Virginia Lloyd looks at the changing gender gap in music through the ages. Two hundred years ago, the conservatories of Europe were dominated by women pianists. In 1822 at the Paris Conservatory, the most esteemed institution of its kind, there were 41 women to 32 men studying piano performance. The Conservatory’s new director, Luigi Cherubini, objected to both the number of students and the gender imbalance. He reduced their number to a maximum of 30, split evenly between men and women. But the conservatories were a dead end for most women, who returned home to become piano teachers, governesses, or wives. Women were not encouraged to become concert artists, nor were they permitted to become members of professional orchestras. The systemic discrimination of orchestra membership was revealed in a 1997 study, which showed that under blind audition conditions, a female musician had a 50% better chance of advancing through the preliminary round of an audition. Whether by coincidence or design, that was the same year the Vienna Philharmonic finally agreed to accept women into its ranks. The number of women accepted into orchestras has increased significantly since blind auditions were introduced. Conscious and unconscious forms of bias continue to hold women back in the fields of classical and jazz music. Often that bias is reflected in the negative self-talk that can cripple a woman’s ambition. Clara Schumann, the most famous virtuosa pianist of the 19th century, was the exception that proved the ‘rule’ that women should teach rather than perform or compose. She began composing as a teenager and performed as a concert artist for more than 50 years, but self-doubt led her to stop writing music. 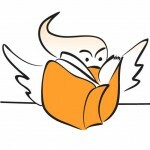 Though Clara ignored or did not know of the examples of earlier female composers such as Hildegard von Bingen, Barbara Strozzi and Fanny Mendelssohn, the lack of visibility of women in any field of endeavour sends a powerful message to younger women that they should inhibit their natural ambition. As a serious pianist in my adolescence, I studied classical music but listened mostly to jazz and pop music, performed solo and accompanied other musicians, and loved improvising at home. But I never seriously thought of pursuing a career in music. On reflection, one of the main reasons for my self-censorship was because I heard so few women on recordings, and when I was old enough to attend jazz gigs I almost never saw a woman on stage. Even today, jazz music is dominated by men. The choice of which musical instrument to play in the first place also appears to be gendered. A 2008 study from the University of London suggested that girls have consistently chosen instruments that are smaller and have higher pitch, while the boys tackle the heftier, deeper instruments. There’s little wonder that today’s orchestral horn sections are predominantly male. Happily, Australian women jazz musicians have benefited from industry initiatives to increase their visibility and professional paths. The Sydney Improvised Music Association’s Women Jazz Workshops, now in their 16th year, have encouraged many talented women into professional music careers, and the annual Women in Jazz Festival attracts capacity crowds. Clara Schumann encouraged her own daughters to teach rather than become concert artists. But she could not deny her creative impulse, and instead of composing notated works, she improvised new music every day to begin her music practice. As we work toward gender parity, institutional and industry self-analysis is an important first step. But the price of gender parity is constant advocacy. As music lovers we must keep our ears open to women composers’ works, and be aware of unconscious bias influencing our assumptions or expectations of female conductors and performers. Funders and arts organisations must program works by women composers and commission new works from them. Broadcasters must schedule works from women performers and composers. In these ways the visibility of female role models will increase, and over the longer term address the gender gap in classical and jazz music. 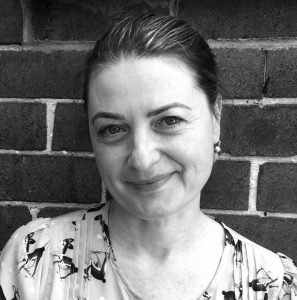 Virginia Lloyd is a writer who lives in Sydney and works in publishing. 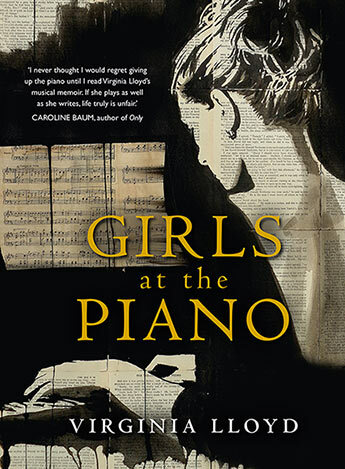 Her latest memoir, Girls At The Piano, is about how learning the piano shaped the lives of two women worlds and generations apart. It also explores the changing relationship between women and the piano over the course of the instrument’s history, taking us from the salons of 18th-century Europe to an amateur jazz workshop in Manhattan in the early 21st century.